Volkswagen sales in Germany were down during the first three quarters of 2016 but VW remained the top-selling car brand and the Golf the favorite model. New passenger vehicle registrations in Germany increased to just over 2.5 million (up 6.1%) during the first nine months of 2016. With the exception of Volkswagen and Seat, all the top-20 best-selling car brands in Germany increased sales in 2016. New passenger vehicle (PKW) registrations in Germany increased by 6.1% to 2,555,783 cars sold during the first three quarters of 2016. The total new motorized vehicle market grew by 6.4% to 3,002,621 vehicles. The sale of heavy goods vehicles (LKW) increased by a strong 12% and buses by 14%. As before, electric cars are struggling to find buyers in Germany. In September 2016, sales of electric cars were up 76.6% to 1,641 cars but for the first nine months of 2016 the total comes to a rather embarrassingly low 7,678 cars. This figure includes all electric cars registered for the first time for use on German roads, i.e. also research and promotion vehicles. The German press also continues to speculate that many electric cars are registered only briefly in Germany for tax purposes before being exported second hand to more promising markets in neighboring countries. Only five major car manufacturers failed to increase sales in Germany in 2016 compared to the first nine months of 2015. 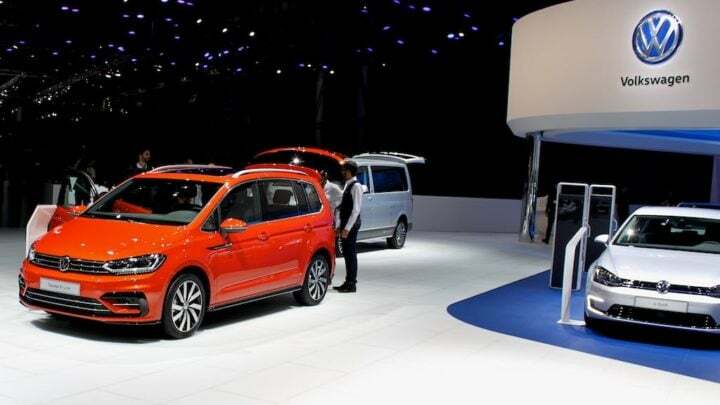 This select group included Germany’s largest carmaker Volkswagen, Sales or market leader Volkswagen were down by 1%, or just over 5,000 cars, while the total new car market grew by nearly 100,000 cars. Volkswagen’s market share thus slipped from 21.4% to a still substantial 20% of the German new car market. There were hardly any changes in the relative rank positions of the top 20 best-selling car brands in Germany during the first three quarters of 2016 compared to a year ago. Mixed fortunes for the French and Korean manufacturers: Renault overtook Hyundai while Kia overtook Peugeot. Smart was the worst performer of the German brands and slipped out of the top 20 list. The most-improved brands were Jaguar (70%), Ssangyong (47%), Alfa Romeo (41%) and Lexus (41%). Honda sales were up by nearly a third. Of the top-10 brands, Renault was the most improved while Ford, Mercedes Benz and Audi also had double-digit increases. Only five brands sold fewer cars than last year: DS (-22%), Smart (-5%), Seat (-1%), VW (-1%) and Suzuki (-0.2%). Although VW lost 1.4% market share in a growing market, VW still sold more cars than second placed Mercedes Benz and third placed Audi combined, or Opel, Ford and Skoda combined. The Volkswagen Golf easily remained Germany’s favorite car model followed by the VW Passat. However, both models sold noticeably fewer cars than a year ago. Golf sales were down 8.6% – a major model update has been announced for November 2016. Sales of the more profitable Passat were down 13%. In contrast, the ageing VW Polo increased sales to regain third place from the Mercedes Benz C Class. The newer Audi A4 and Opel Astra both moved up positions with stronger sales while the VW Tiguan, Audi A3 and Skoda Octavia all slipped down the rankings despite higher sales. The Opel Corsa maintained it tenth place. The only new entries in the top 20 list were the VW Touran – at 11 after the introduction of a new model – and the VW Transporter minibus. The two car slipping out of the top 20 from a year ago were the Ford Fiesta (15 to 21) and the VW Up (20 to 23). Germany’s favorite imported car model was again the Skoda Octavia. The best-selling foreign branded car not owned by a German manufacturer was the Fiat 500 (26th most popular model).